Beginner Bonsai Trees – How to choose? 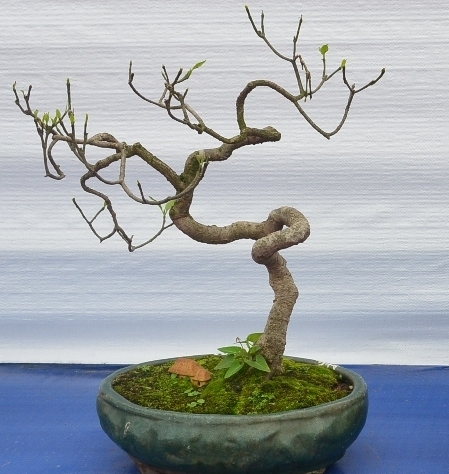 Are you looking for recommended beginner bonsai trees? There’re many types of bonsai trees. As a bonsai novice, you may wonder which one you start with. Trees that easily survive in your neighborhood. Don’t pick up plants inhabiting from the other half of the earth. It’s hard to keep them alive, not alone practice training them. Trees with strong living capability. They do not call for much care and attention and can easily adapt to any environment. Moreover, in case you make mistakes in caring for, you still have another chance as they’re still alive. Otherwise, you may risk losing some more money and time to buy another tree to start over the game. Nursery trees in natural styles or pre-bonsai (not trained yet). That way gives you more chance to practice basic skills from the beginning. First hand experience is much useful to a novice for later on usage. Inexpensive species, so that you can confidently practice necessary techniques without a fear of wasting money in case your effort fails. Trees which have their branch, twigs, leaves, fruits, roots and buds, naturally in proportion to the whole size of the tree. They are all popular, beautiful, and easy to start with. If those are not available in your area, just find some other types with some of the features I mention above. Alright, now I hope you know how to pick your first bonsai trees. Are you ready? Go ahead, select and buy a tree for yourself. Next steps, you should have one before continue learning more about bonsai skills such as training, shaping, styling… Those techniques will help you learn caring for bonsai trees and create your marvelous art works.